Josephine operated Jo’s Tailor Shop outside of Eglin AFB’s east gate for over 50 years, where she has sewn on thousands of airmen’s stripes, hemmed their pants, and made alterations to everything from prom dresses to wedding gowns. 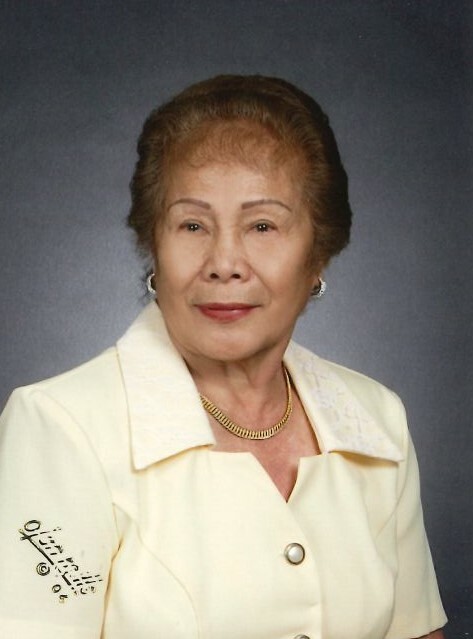 In 1941 the Japanese invaded the Philippines and held American POW’s in her hometown of San Fernando. The prisoners were brutally treated and Jo, along with her family, would smuggle food and medicine to the mistreated prisoners. She continued this act of kindness for several years knowing it put her and her family in grave danger. Survivors include a son, Edward Laskowski; daughter, Janet Laskowski Austermann; brother, Manuel Salanga; sisters, Remedios Morco and Adelina Roxas; grandchildren, Jennifer (deceased) and Anthony Austermann; great-grandchildren, Corey Bush, Joseph Donovan and great-great-grandson, Bowdie Bush. There will be a visitation from 10-11:00 am on Saturday, March 30, 2019 at Heritage Gardens Funeral Home. The funeral service will begin at 11:00 am with interment to follow in Heritage Gardens Cemetery. A reception will follow the funeral service at the Niceville City Hall Community Center from 12-3:00 pm. In lieu of flowers donations may be made to the Veterans of Foreign Wars Foundation www.vfw.org/foundation.